we like to inform you as much as possible (with the knowledge we have) about antennas. You can find information here from vertical antennas to loops and from Moxons/Yagis to Quads. But also wire antennas, bobtail curtains, c-pole and hentenna. height versus take of angle, SWR- bandwidth, stacking and coax demping. On this web site you will find mostly 11 meter antennas. But all types of antennas can be changed into the frequency you prefer. Bigger dimensions could give restriction, depending on your location and /or your neighbors. And when your neighbors still talk to you, your antenna is to small. for sale in the market. We compare their prizes, gain, F/B and boom. through the antennas on the left hand side of this page and compare this to the given diagram there. If you want to build your own antenna we can give you the dimensions you need. 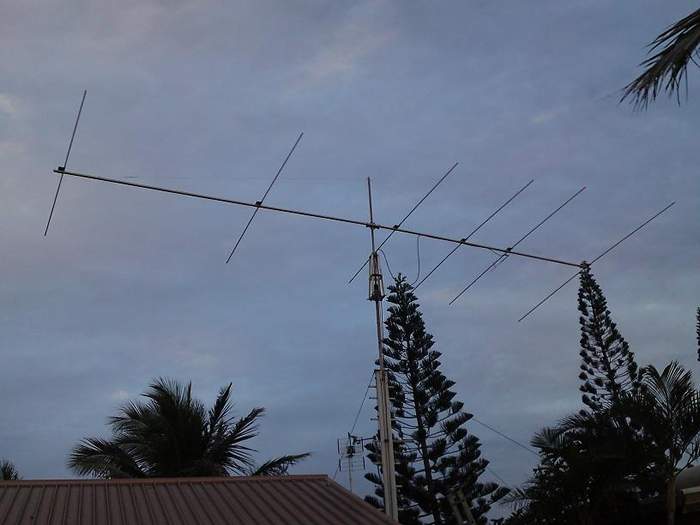 Improve the gain and front to back of your existing antenna is possible as well. On the webpages www.dx4.us and www.HPSD.nl you find more information. If any question do not hesitate to ask, even in Dutch, German or Spanish. Disclaimer: Nothing of the information given on this website may be reproduced without written verification of the author. All information is for personal use only.If you have commercial interest or want to reproduce the information in any other form please contact us.